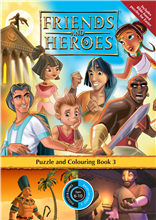 Friends and Heroes award-winning adventures and Bible stories on DVD accompanied by an exciting cross-curricular Home Education Project Pack - easy-to-use, hands-on, attractively designed, colourful and FUN! Each Project Pack provides a wealth of interdisciplinary studies for your home educated children. The material is highly adaptable and may be easily incorporated with your other home education activities to provide at least two weeks of learning. 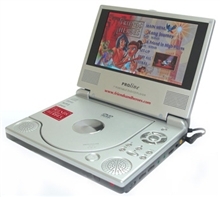 Watch Friends and Heroes anywhere, any time, with this exclusive, portable DVD player. To order only Project Packs without the corresponding DVD, click on the Project Pack of your choice from this main page. Click either CD-ROM or download from the Home Education Project Pack type drop-down menu. The appropriate type will automatically show up in your shopping basket.